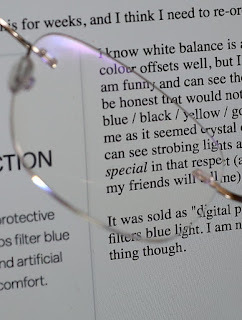 I am actually getting a tad annoyed with my reading glasses (well, computer use glasses). 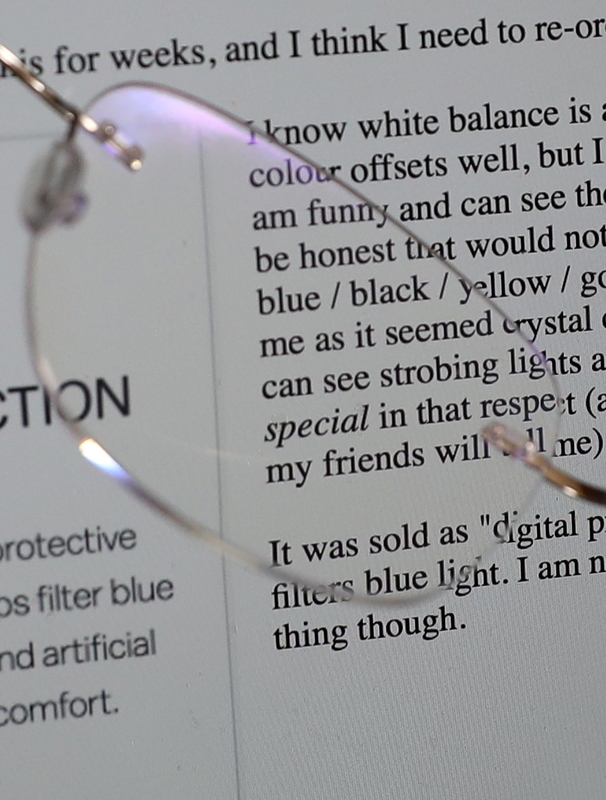 I made the mistake of clicking on the Blue Reflect coating offered by Glasses Direct. And I have been putting up with this for weeks, and I think I need to re-order without it. The effect looks really subtle in that picture, but it is far from subtle to me when using a computer, and starting to bug me a lot. I know white balance is a thing, and we all adjust to colour offsets well, but I find this annoying. Maybe I am funny and can see the colour offset somehow. To be honest that would not surprise me - the whole blue / black / yellow / gold dress thing did confuse me as it seemed crystal clear what colour it was. I can see strobing lights as well. So I know I am a tad special in that respect (and many others, as I am sure my friends will tell me). 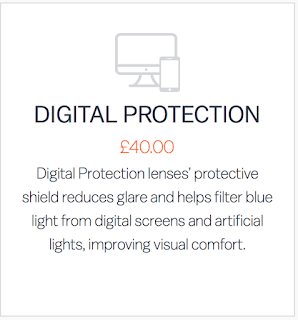 It was sold as "digital protection", but does say it filters blue light. I am not sure why that is a good thing though. So maybe I need some cheaper glasses. 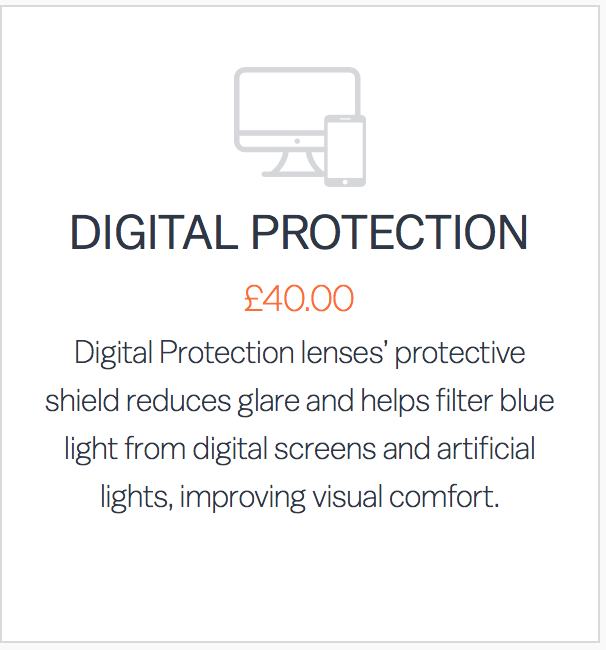 "helps filter blue light from digital screens and artificial lights"
I definitely don't like it. New glasses ordered. Digital protection? How do they protect your fingers? Had blue tint on my last glasses. Could see a very distinct blue flare around bright lights like car headlights. Horrible effect particularly at night. Got new ones now without the blue tint. Filtering blue light - one reason is that the blue component of light in the evening may interfere with your sleep - various OS vendors (apple -> Night Shift & microsoft -> Night Light) have recently introduced "night modes" for their OS, which shifts the colour temperature to one less blue.